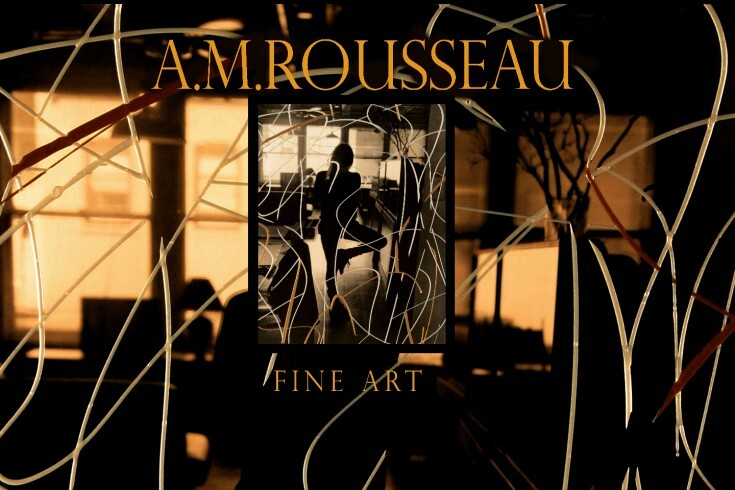 A.M. Rousseau is a multi-disciplined artist and photographer who has exhibited her work in solo shows in New York, California, Texas, Ohio, and in Europe and Japan as well as museums in Lancaster, Bakersfield and Oklahoma. Her work has been published in magazines including Life Magazine, The Photo Review, Art in America, The San Francisco Chronicle, The New York Times, and The Boston Globe among others. She is the recipient of a National Endowment in the Arts Fellowship, The Djerassi Foundation Affymax Fellowship, the Rockefeller Foundation’s Bellagio Artist Residency, Yaddo Artist residency, the Virginia Center for the Arts residency, the Manhattan Borough President’s Award for Excellence and Service in the Arts, and the Harc Foundation Award. She received her undergraduate degree from the Massachusetts College of Art and a Master’s Degree in Fine art from Pratt Institute, Brooklyn, NY. She also attended the New York Studio School for Painting and Sculpture and the Skowhegan School for Painting and Sculpture. Drawings and paintings from the series, “A Hundred Points on a Line,” were exhibited at Andi Campognone Projects in Pomona, CA. and in a solo show at the Lancaster Museum of Art and History. Her paintings from the series “Sight Lines” were shown in at the Bakersfield Museum. In 2015 her one-person show at the CMay gallery at the Pacific Design Center in Los Angeles traveled to Korea. She has exhibited work with the Ruth Bachofner Gallery in Los Angeles, Fresh Paint in Los Angeles and Scape Gallery in Corona Del Mar, CA and is currently with the Jason Vass Gallery in Los Angeles.